This is a page of “general” questions that are often asked about Ahimsa House. To view our FAQ on getting help, click here. To view our FAQ on volunteering, click here. What does your organization’s name mean? Why does Ahimsa House exist? Ahimsa House exists to address the link between animal cruelty and domestic violence. In homes affected by violence pets are also at risk. There are many shelters for human domestic violence victims in Georgia, but only a few accept pets. Ahimsa House is the only organization in Georgia specifically focused on helping victims of violence get their pets to safety too. Why do pets need shelter from domestic violence? Up to 71% of victims of domestic violence report that their abusers also threatened, harmed, or killed the family pets–an effective weapon to terrorize the family and keep them silent about the abuse in their home. Abusers often threaten to harm pets if the victim tries to leave. They also harm pets left behind as a way to retaliate or to coerce the victim into returning. Concern for a beloved companion animal’s welfare prevents or delays as many as 50% of battered individuals from escaping domestic abuse. Some escape but then attempt to return to a dangerous situation to reclaim pets left behind. Others escape with their pets but wind up living in their cars or on the streets because nowhere will take them in. This is an issue of both animal safety and human safety. Why don’t people just leave their pets behind instead of risking their own safety? To those of us who have pets and consider them part of the family, and to those who have experienced abuse, this question may seem ridiculous. However, it is a question we are often asked. It is important to understand that for people who care deeply about their pets, this is like asking them to leave their children behind. Research shows that people’s bonds with their pets provide an important form of support, particularly in times of crisis. For either children or adults in an abusive situation, their pets may be their best friends and their primary way to cope. Leaving a pet behind to face abuse, or having to give up a pet to an animal shelter to face possible euthanasia, adds yet another trauma to what these families are already enduring. To see the stories of some of the people and animals we have helped, click here. Domestic violence can occur anywhere; it crosses all races, all cultures, all occupations, all ages, and all socioeconomic backgrounds. 1 in 4 women and 1 in 7 men have experienced severe physical violence by an intimate partner at some point in their lifetime. You may be surprised to know that Georgia ranks 8th in the nation for its rate of men killing women. Domestic violence is the leading cause of injury to women between ages 15-44 in the United States – more than car accidents, muggings, and sexual assaults combined. How does Ahimsa House help? How is Ahimsa House funded? Ahimsa House receives government funding through the Victim’s of Crime Act Victim’s Assistance Program. We also heavily rely on individual donations, grants, and corporate sponsorships to cover the costs associated with caring for the pets in our program and overhead costs. Are you only in Atlanta? We are based in Atlanta, but we are able to offer assistance anywhere in Georgia. How many people and animals do you help? Each year, our 24-hour crisis line receives approximately 2,000 calls from counties across Georgia. Since our opening in 2004, we have provided over 91,000 nights of shelter for pets in need until their owners reached safety. So you take in the people as well as the animals? Since there are already shelters across Georgia where human victims of domestic violence can stay, our role is to take in the animals while their owners are staying at a shelter or other temporary no-pets-allowed situation (for example, with friends/family who are allergic or whose leases do not allow pets). We work closely with domestic violence shelters and other programs across Georgia to coordinate our services. Ahimsa House recognizes that any animal a victim cares about can become a target for an abuser. We have sheltered many dogs and cats, but also birds, guinea pigs, hamsters, ferrets, rats, snakes, turtles, iguanas, rabbits, and horses. We are a 501(c)(3) registered nonprofit organization. Are you the same Ahimsa House as ______?  We are not affiliated with any other “Ahimsa” or “Ahimsa House” organizations in other locations.